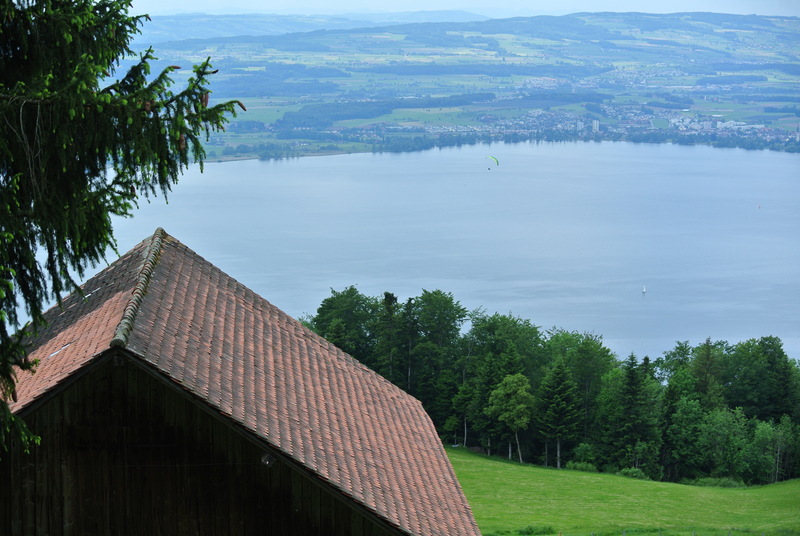 Three weeks ago Peter asked me to go to Zug, Switzerland with him. He had to go for work, one day only on a Monday and he didn’t want to go by himself on a Sunday night, work Monday and then come back. He thought we could make it a mini hiking weekend. I thought it was a great idea. We flew out of London on Saturday morning at 7:05 am. Arrived in Zurich at 9:25 am local time. 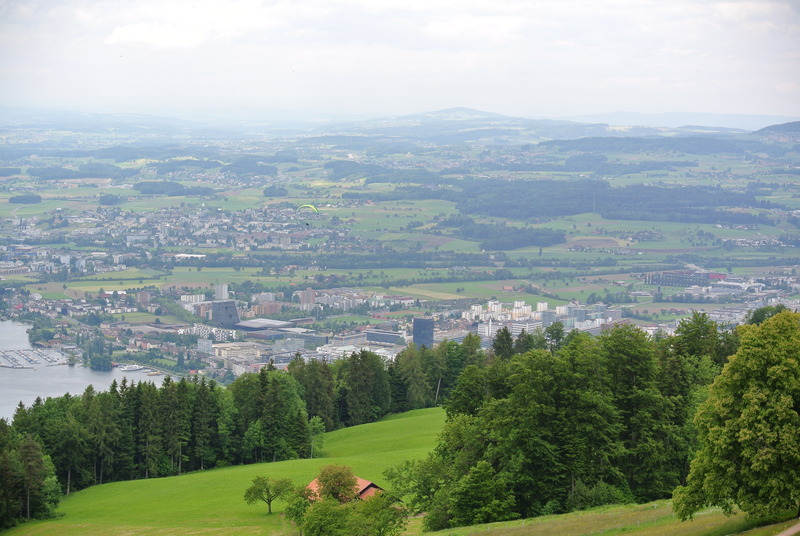 Zug is located roughly 40 minutes south of Zurich. After going through customs, getting a taxi etc… we finally arrived in Zug. We were staying at the corporate apartment of Peter’s company. The apartment is located on the 16th floor and the office is on the 15th floor. Peter was not going to have a long commute on Monday morning. 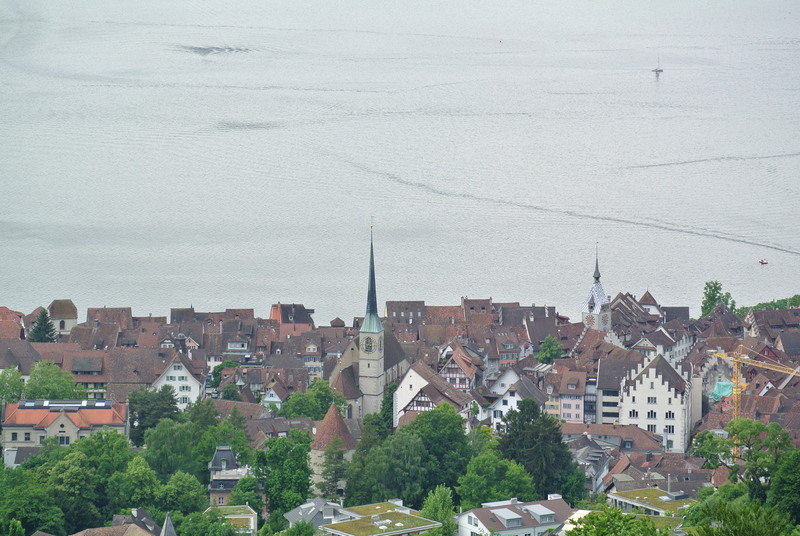 Peter checked a couple of things with work, we changed and off we went to the old part of town of Zug. 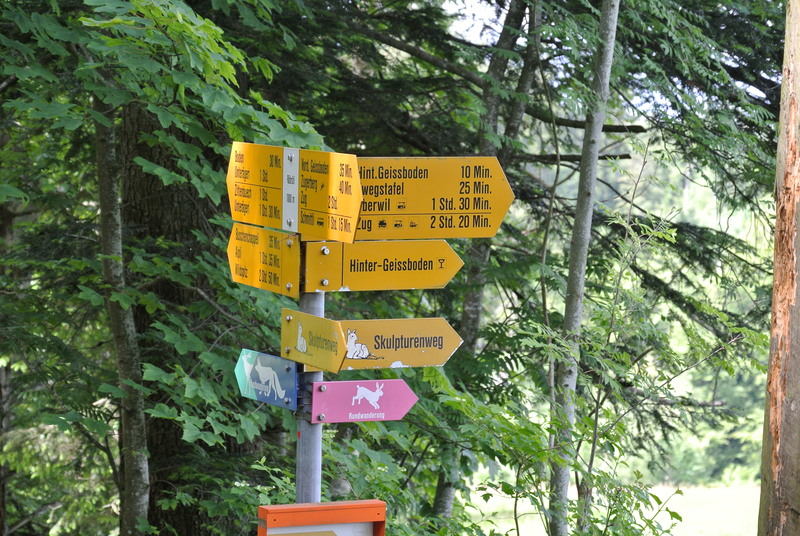 I had printed off some hiking trails but everything was in German and not very clear. We decided to look for tourism info to see if they would have more accurate hiking maps. They did! 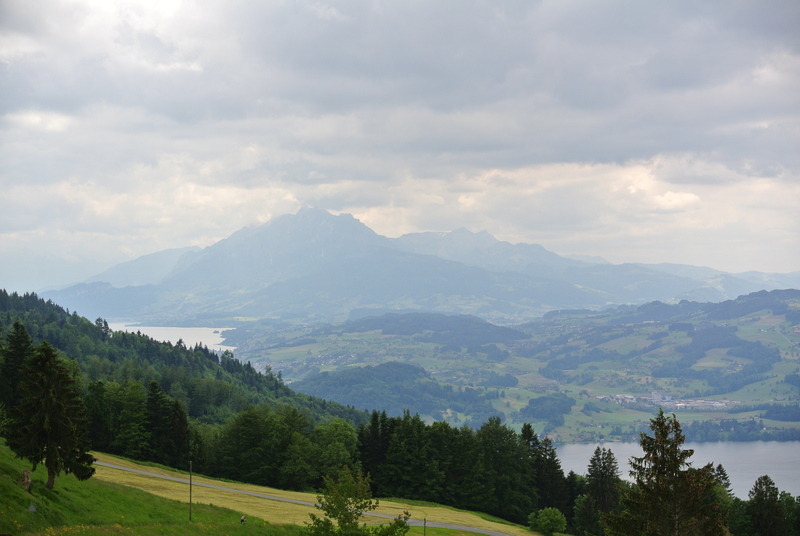 The nice lady at the tourism office suggested we take the bus to the local cable car that brings you partly up Mount Zugerberg. 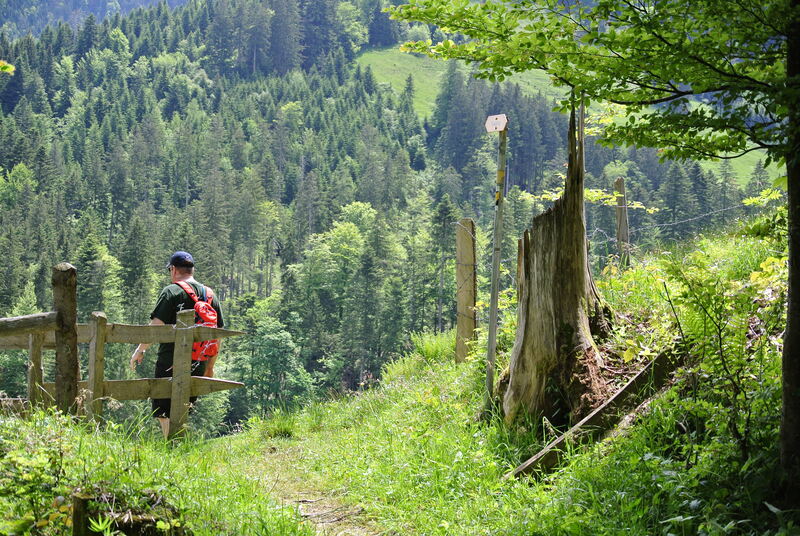 From there you can start hiking in many different directions. After grabbing lunch, that’s exactly what we did. By the time we got out of the cable car it was already 2 pm so we decided to do a small hike (a couple of hours), take in the scenery and get our bearings. We headed in the “Blasenberg” direction since on the marker it said we would be there in about 1 hour and another 1 hour and 15 minutes from there to Zug. We hiked up and down valleys, passing cows, farms apple orchards and we just enjoyed the sun and the beautiful scenery. Our scenery as we were walking. We made it back to Zug around 4 pm. Just in time to go buy some groceries for breakfast. Then we went back to the very nice, high tech and comfortable corporate apartment. After a nice dinner at a local Italian eatery we went to bed. Sunday morning over breakfast we looked at the hiking map and put together a plan for a nice day of hiking. 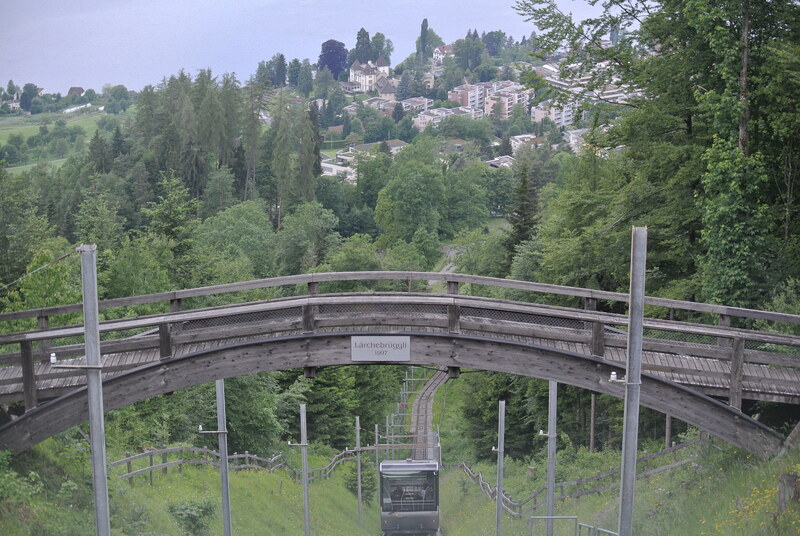 Once again we took the bus and the cable car to Mount Zugerberg. The cable car was packed with young families. 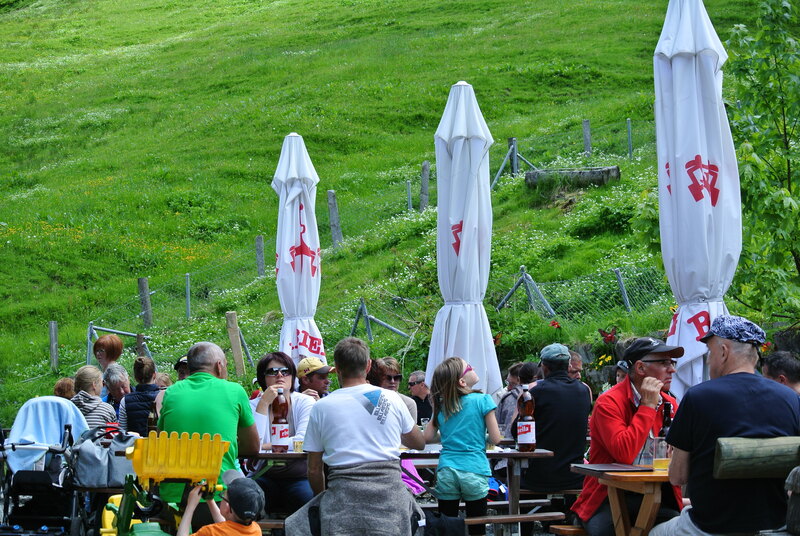 I guess this is what the Swiss do on Sunday, they go hiking! Coming out of the cable car we looked at the markers and started hiking in the direction of Alpi. 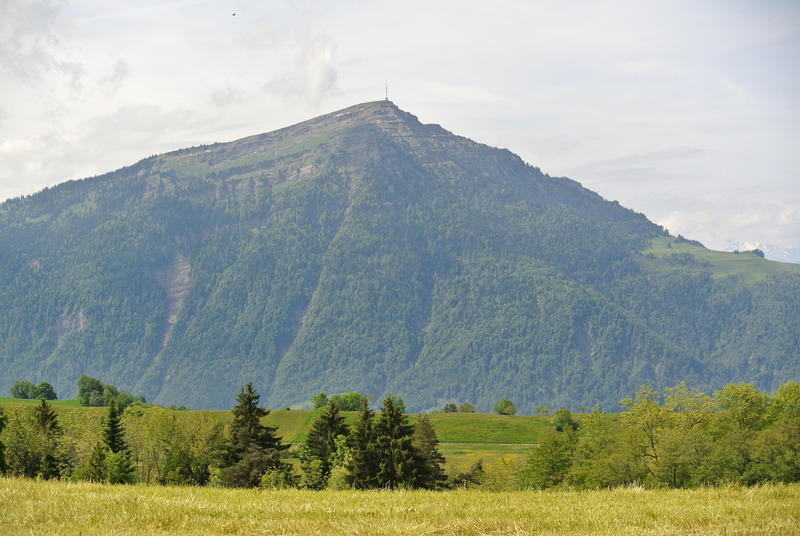 On the map, Alpi showed as being almost at the top of one of the mountains surrounding Zug. It was 2 hours and 20 minutes away so off we went. Talk about Cows! 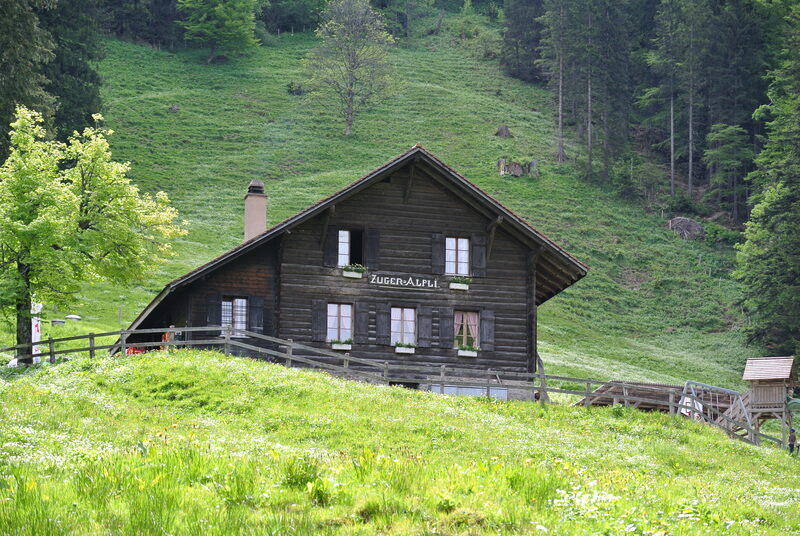 In Switzerland you cannot hike without seeing a cow (or hearing one). And yes they all have bells around their necks. At one point it was all we could hear but we couldn’t see the cow. Finally we came out of the woods into a valley and saw that the cow we had been hearing all this time was scratching against a tree, hence the cow bell song. When you encounter many of them it is pretty hilarious. Of course this brought back some memories of Christopher Walken’s skit on SNL. And Peter couldn’t stop shouting, “I need more Cow Bells!”. Going to Alpi was lovely. You would hike through the woods and end up in a valley by a farm. 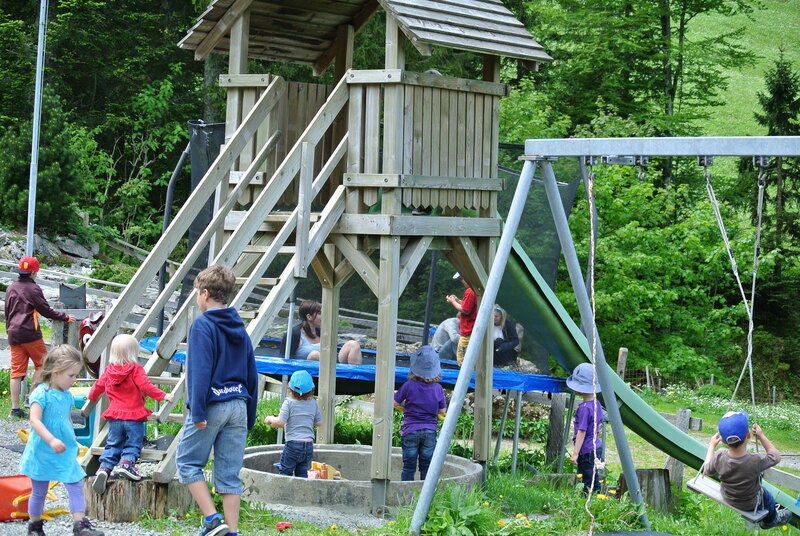 Then you would follow the marker through the farm, going by someone’s house and get back into the woods. We met some people but the trails were in no means crowded like they are when we hike in the UK. It was nice. Coming out of the woods you end up in these lovely valleys. One of the many markers. The trails are well marked and you can choose to go to one destination several ways. 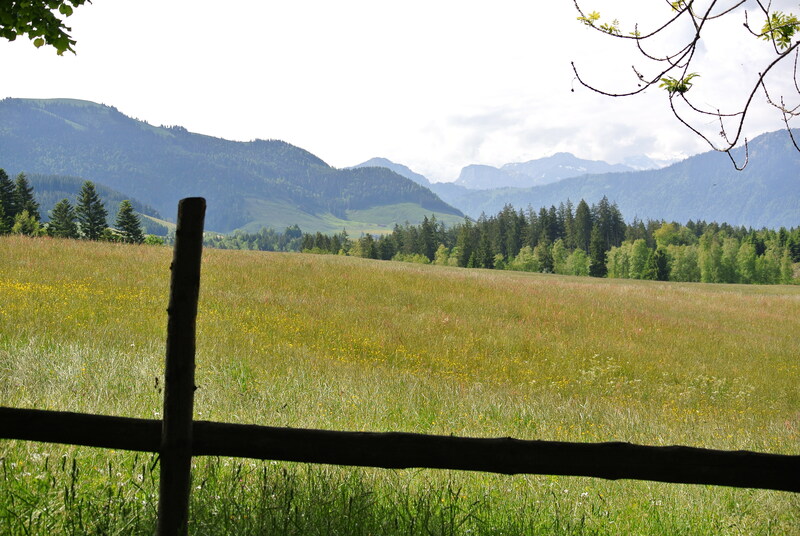 “The hills are alive with the sound of music”…..sorry that’s in Austria not Switzerland! 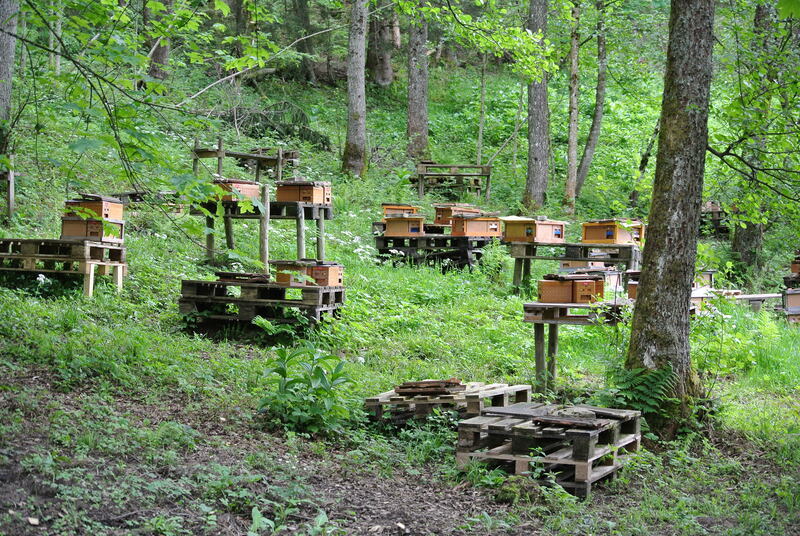 On our way down from Alpi we encountered these beehives in the middle of the forest. We also saw many sites such as this. 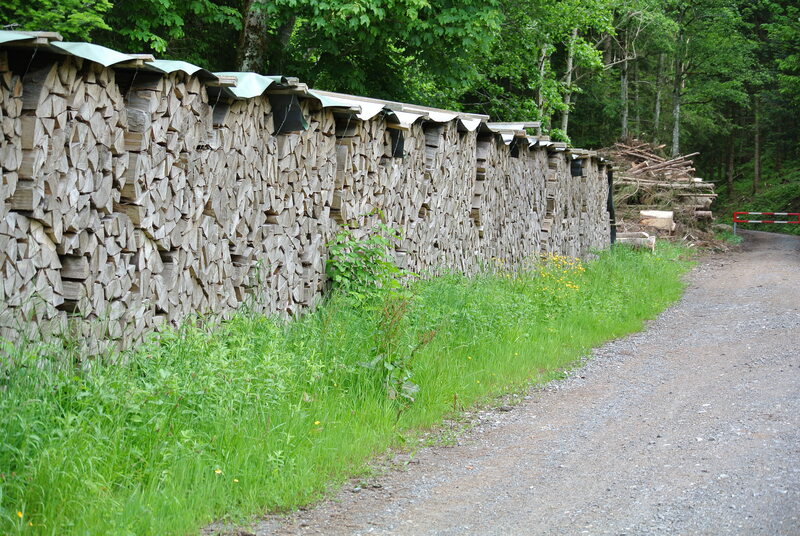 Stacked wood in nice round piles. 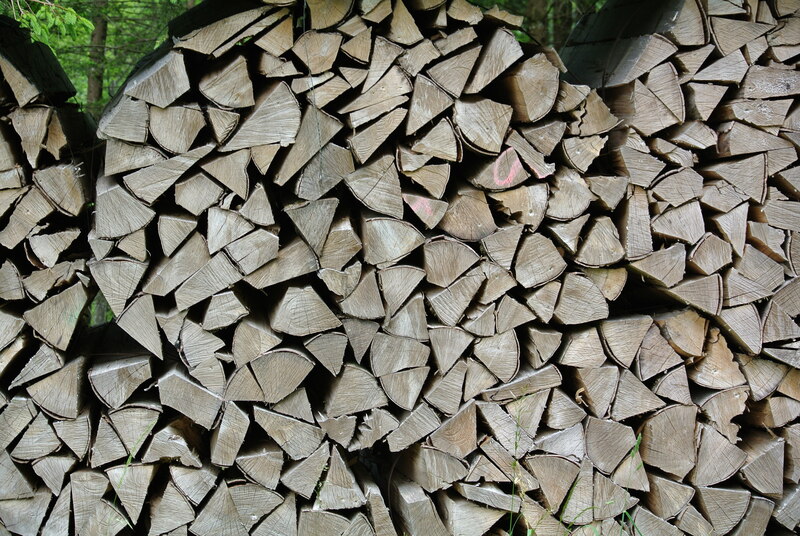 I’m guessing the Swiss heat with wood a lot. 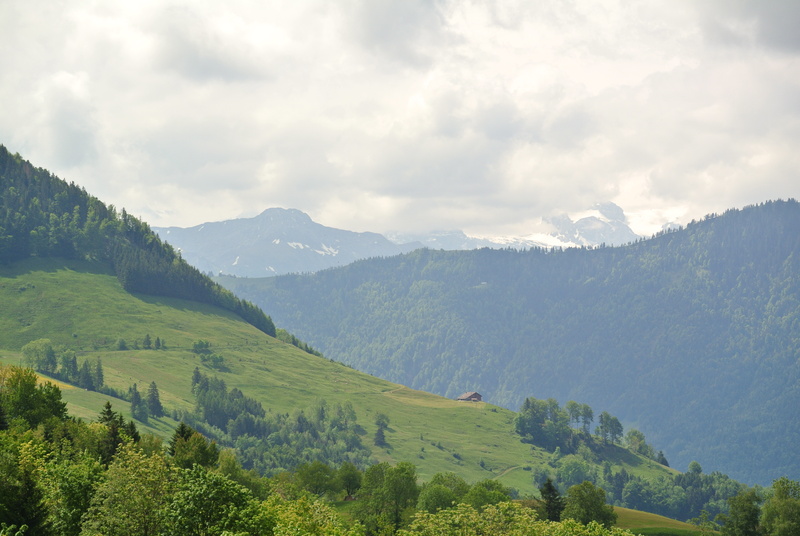 We hiked down from Alpi in the small town of Unterageri by lake Agerisee. Pretty tired but happy with our hike of 14 1/2 miles through the Swiss mountains. We located a small bakery. Had tea and pastries and then we took the bus back to Zug. 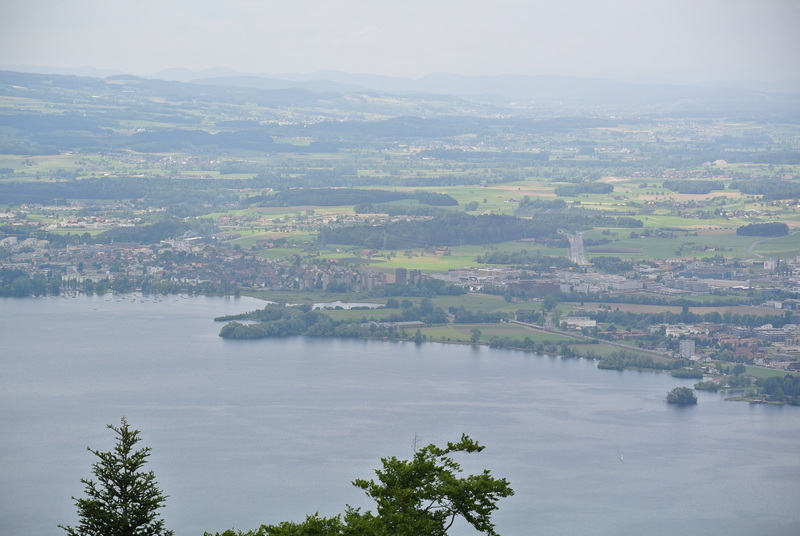 The hike back to Zug was 2 hours and 30 minutes and I was NOT doing it. We just chilled the rest of the day. Monday Peter went down one floor to work. I walked into town. Took in the scenery but mostly the sun. It was another gorgeous day weather wise and I was taking advantage of the natural vitamin D.
Now we’re back in UK. Back to the routine. Peter actually had a bigger commute this morning (25 minutes on tube)and I just went for a run in the rain. Yeah we’re back in UK.